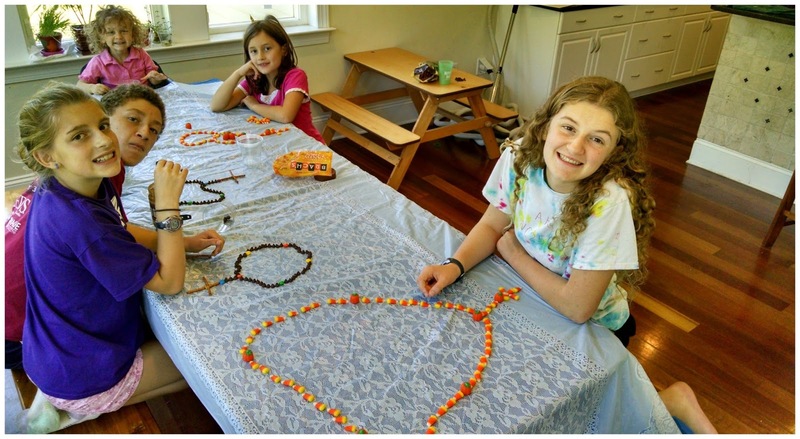 Yesterday on October 7, we celebrated the feast day of Our Lady of the Rosary. Did you know that this feast day was formally called "Our Lady of Victory" and "it takes place in honor of a 16th century naval victory which secured Europe againstTurkish invasion. 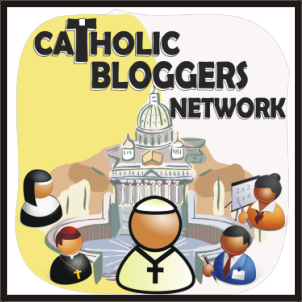 Pope St. Pius V attributed the victory to the intercession of the Blessed Virgin Mary, who was invoked on the day of the battle through a campaign to pray the Rosary throughout Europe." 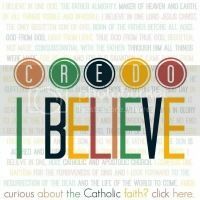 Fascinating and miraculous history that you may not have read about in your history texts! There are so many beautiful Marian feast days in the liturgical Church calendar, besides the feast of Our Lady of the Rosary. 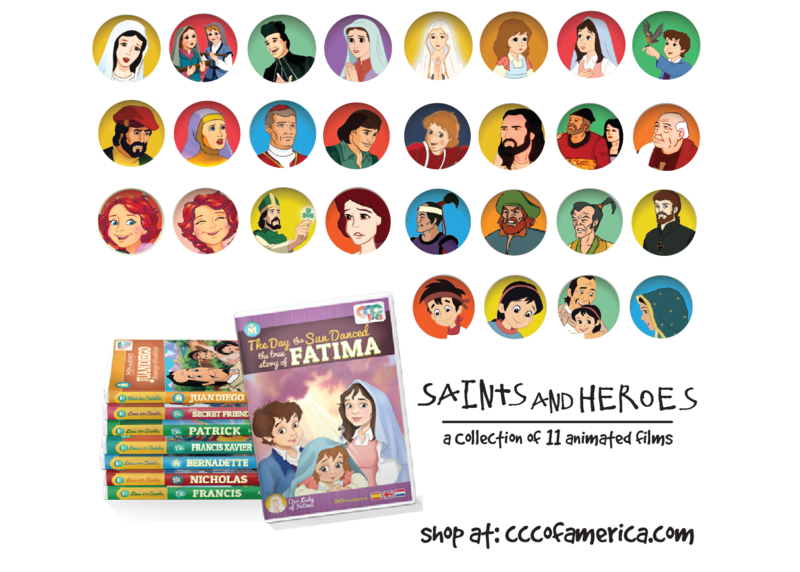 Some of our favorites are the Solemnity of Mary on January 1, Our Lady of Lourdes on February 11, Feast of the Annunciation on March 25, Feast of the Annunciation on August 15, Our Blessed Mother's birthday on September 8, Our Lady of Sorrows on September 15, Our Lady of Fatima on October 13, Feast Day of the Immaculate Conception on December 8, and Our Lady of Guadalupe on December 12. Whew! Celebrating our Blessed Mother throughout the year vs. just at Christmas time is really a wonderful way to honor such a special and important blessed Lady! 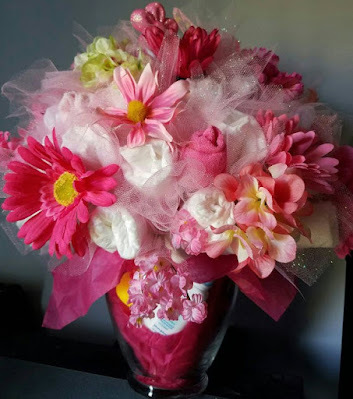 Last year, I saw this cute idea on how to celebrate this feast day. 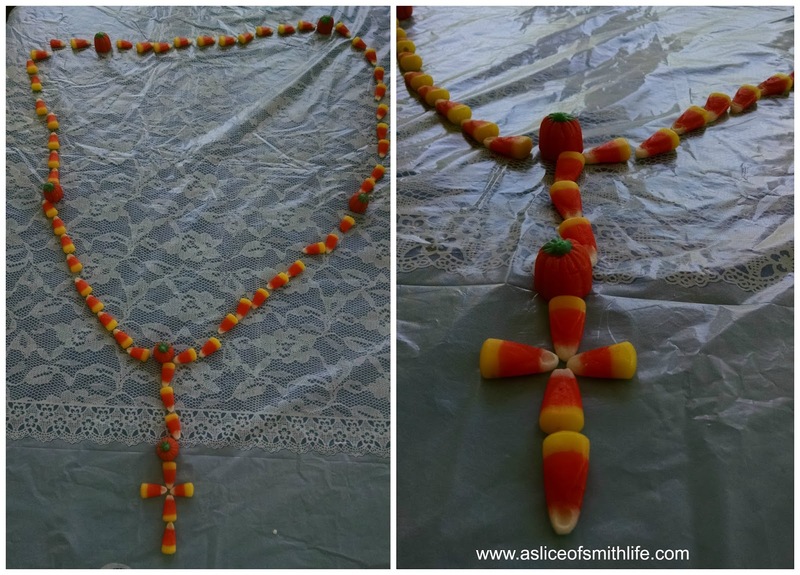 Celebrating the feast day of Our Lady of the Rosary this year involved candy corn (that my oldest daughter thought would make a fun rosary), chocolate chips, M&Ms, pretzel sticks and a dab of peanut butter to hold together the pretzel crosses. 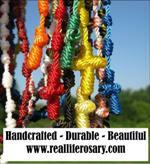 We set up our rosaries and then prayed a decade of the rosary before anyone could eat some of their edible rosaries. 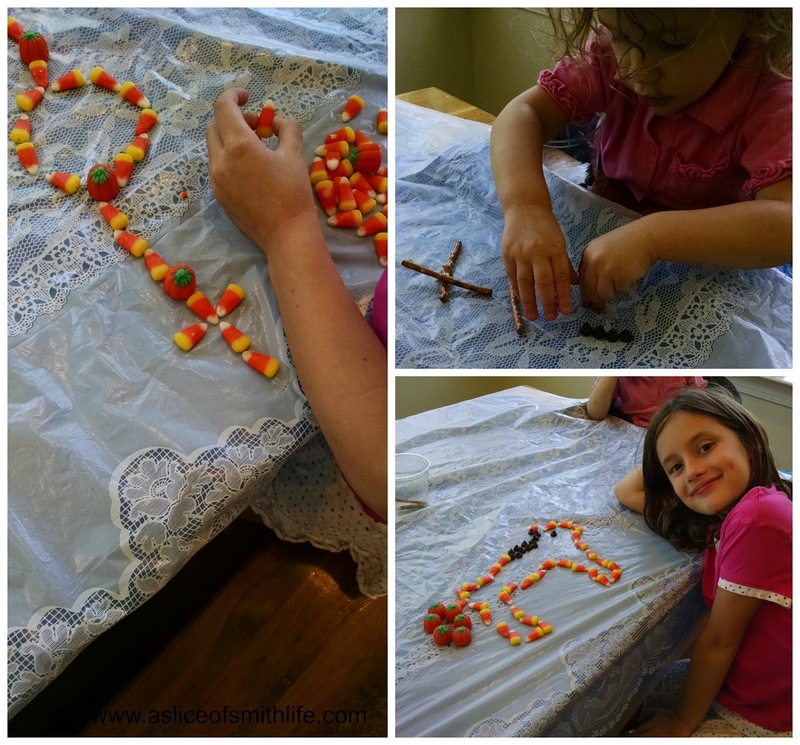 My 7 year old wanted to make just a rosary with 1 decade and she made a horse with the extra candy corn. My 2 year old got a few pretzels, peanut butter and chocolate chips and tried to make a rosary before she gobbled up the sweet treats. 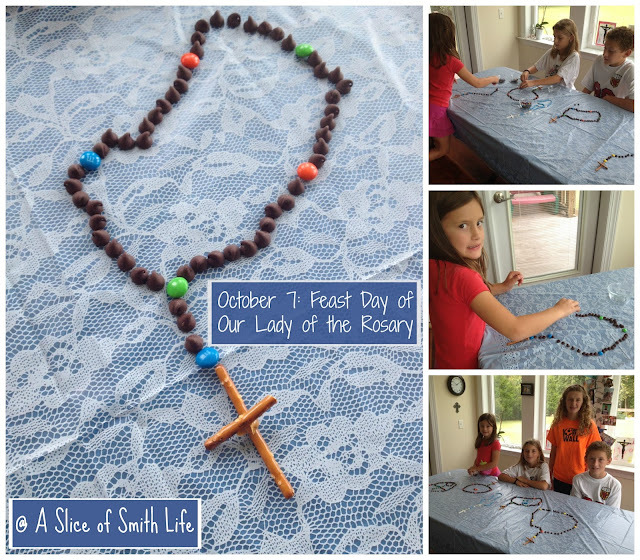 We hope to continue with this tradition each year on October 7 in honor of Our Lady of the Rosary! 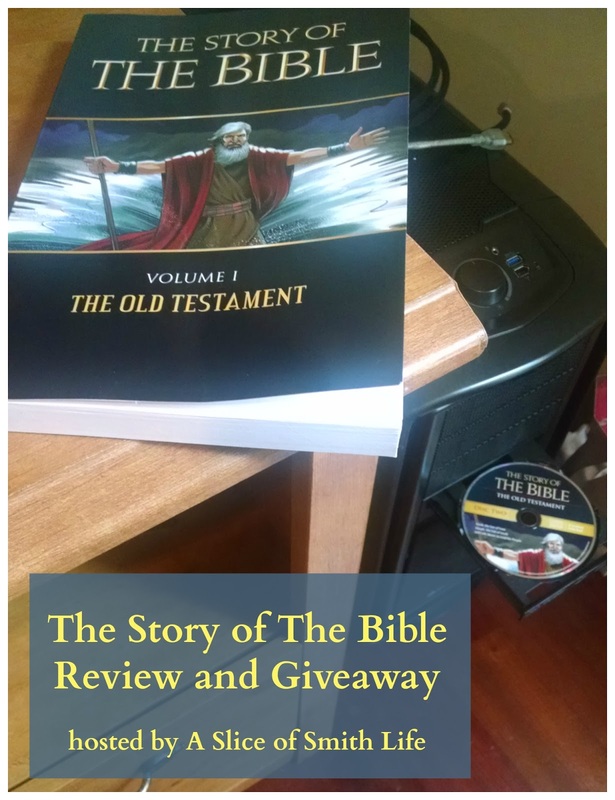 And have you entered the The Story of the Bible giveaway I'm hosting on my blog this week? 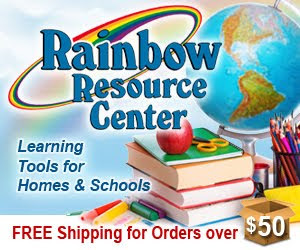 If not, go read all the details and enter! Giveaway ends this Friday, Oct. 9 at midnight!